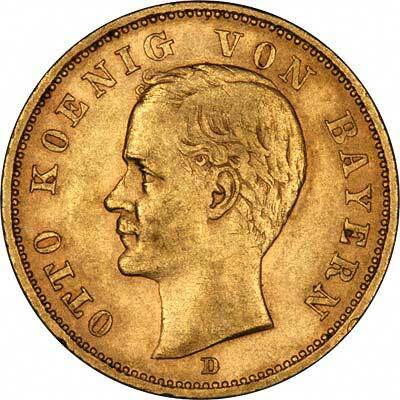 Bavaria or Bayern is one of the largest of the German States. 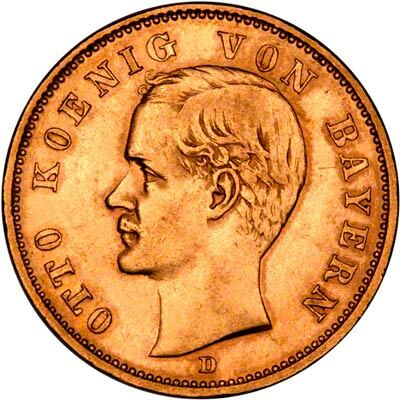 It is in the south-east of Germany bordering Austria and the Czech Republic. 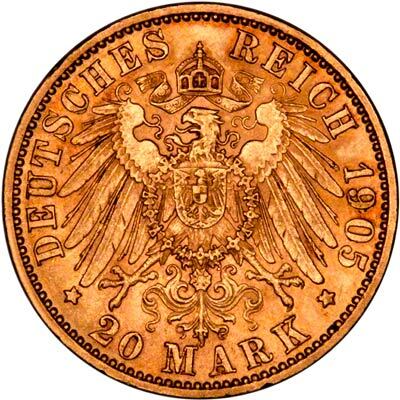 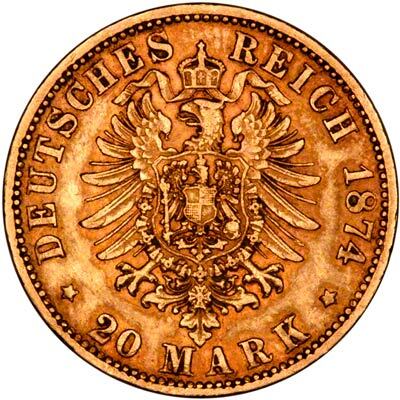 Despite its size, it never issued the quantities of coins compared with its wealthy northern rival Prussia. 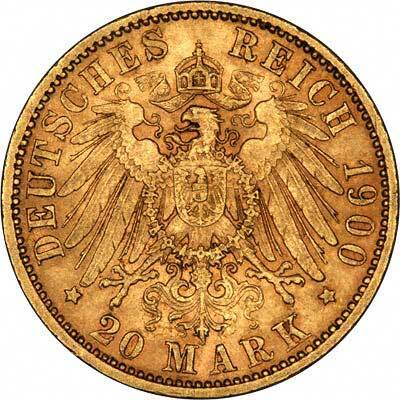 Its gold coins only turn up relatively infrequently. 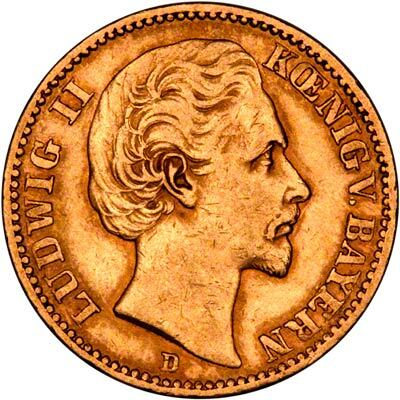 Bare head of King Ludwig II facing right.